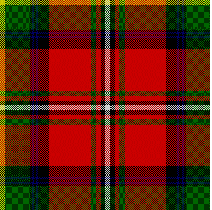 Fabric & Kilt purchases can take from 4-12 weeks for delivery from Scotland. Most other items are kept in stock and can be shipped within a few days. However, be aware that at time we may need to order these items from Scotland due to demand and delivery can sometimes take longer then estimated.Shipping and handling charges are based on two factors. 1. the items selected and 2. The destination.The secure SSL 128bit shopping cart will automatically compute the appropriate charges based on US sales,Canadian sales and sales to European countries. Please be aware that some International customers may also be required to pay customs duties or tarrifs.The word item is used here to describe either fabric purchases or items from the "Diana,Princess of Wales Memorial Tartan" collection. Orders which excede $300.00 in sales will receive a .05% discount on the retail value less shipping. Shipments to US address will be shipped Priority Mail through the USPS and will have a tracking number and delivery confirmation. International deliveries will be made by the most economical carrier dependant upon final destination.